Top 6 Cameos From STAR WARS: THE LAST JEDI Revealed! Which Ones Did You Spot? – Show Me The Movies! Top 6 Cameos From STAR WARS: THE LAST JEDI Revealed! Which Ones Did You Spot? This is pretty cool and director Johnson had mentioned that some of his fellow directors had cameos in THE LAST JEDI. However, to be honest it was pretty hard to spot HOT FUZZ director Edgar Wright, his brother Oscar, longtime collaborator Leo Thompson and director Joe Cornish towards the end of the movie on Crait. Here they are in costume, in an Instagram pot by Wright confirming their appearance. They can be seen in soft focus behind Poe Dameron in the hangar on Crait. If you are looking for my cameo in 'Star Wars: The Last Jedi' this is my grubby Resistance costume. With big brother Oscar, Joe Cornish & @leojt. Shot this cameo on June 23rd, 2016. Thanks to @riancjohnson for making it happen. #2 ROGUE ONE Director Gareth Edwards Takes Aim On Crait! 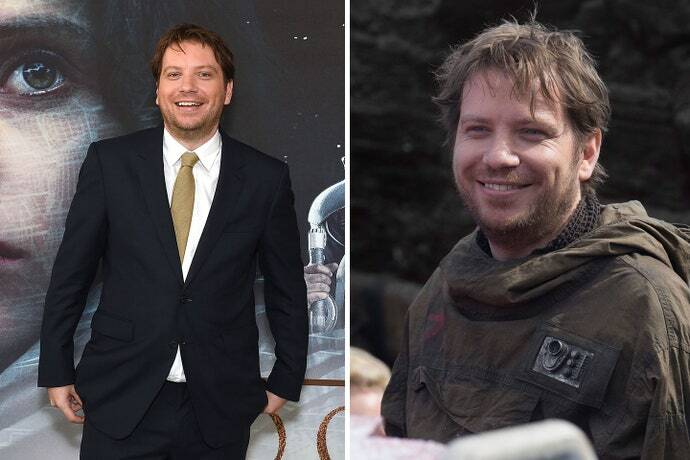 If you’re familiar with ROGUE ONE director Gareth Edwards and his previous work then surely you couldn’t have missed his appearance in a bunker on Crait? As one of the resistance soldiers licks the white stuff on the grounds of Crait and declares it ‘salty’ Edwards looks on slightly bewildered. He had previously gave Rian Johnson a brief cameo in ROGUE ONE as an Imperial Technician and his fellow director returned the favour. #3: Adrian Edmondson Goes To The Dark Side! #4: Gary Fisher as Space Gary! The late great Carrie Fisher plays a pivotal role in THE LAST JEDI and we’re intrigued to see how her character is written out of the series in Episode 9 (especially now it seems that Poe Dameron is to be the new Resistance Leader…One of her pets, Gary, also got to share some of the limelight in the casino planet Canto Bight as one of the gamblers pets. 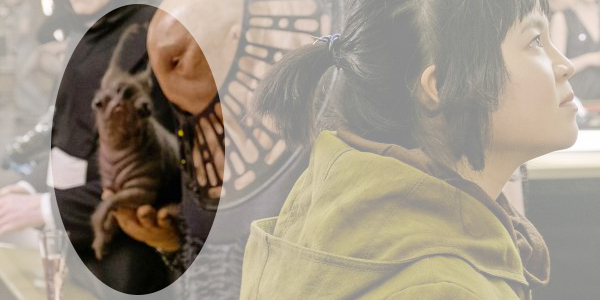 The US actor was previously thought to have recorded a voice-over for the movie but in fact he appears in prosthetics as an angry resident of Canto Bight who is irked by Finn and Rose abandoning their ship on the beach. His name ‘Slowen-Lo is a riff on the Beastie Boys song ‘Slow and Low’m another STAR WARS reference for the band after ‘Ilco Munica’ (Ill Communication) and ‘Ello Asty’ (Hello Nasty). #6 Warwick Davies Does Some Gambling! Previous Previous post: It’s Official! GAME OF THRONES Will Return In 2019 For Eighth And Final Season. Next Next post: Check Out The New Trailer And Poster For The Jennifer Lawrence Thriller RED SPARROW!